Sir Paul McCartney recently announced a handful U.S. tour dates beginning this June. McCartney fans can find tickets online beginning today at TicketProcess.com. Paul McCartney has announced a U.S tour in support of his 2013 'Out There' album. McCartney will stop in New Orleans at the Smoothie King Center on the 26th of June followed by a show in Louisville at the KFC Yum! Center. In the month of July he is set to perform in Albany, New York at the Times Union Center and at the Console Energy Center on the 7th. More dates will be announced in the near future. 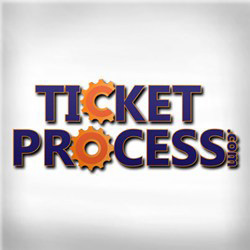 Fans can now find tickets for available shows online today at Ticketprocess.com or by phone @ 1-888-791-3322. *TicketProcess is not associated with any of the organizations, teams, artists or venues listed. Names used in this release are for descriptive purposes only and do not imply endorsement or partnership. Since 2010, TicketProcess secondary ticket exchange (broker & consumer) has been offering a large selection of live event inventory to some of the most exclusive sports, concert and theater events nationwide. With 7-day customer service, all backed by a 100% Guarantee, its simple design and ease of use allow anyone to purchase event tickets with confidence. Follow Ticket Process on Facebook, Twitter & Google+ for exclusive announcements and free discount codes.